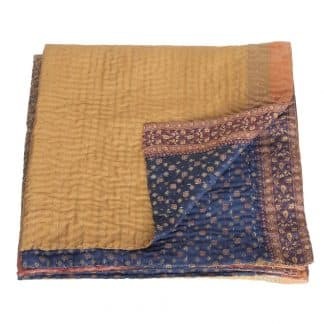 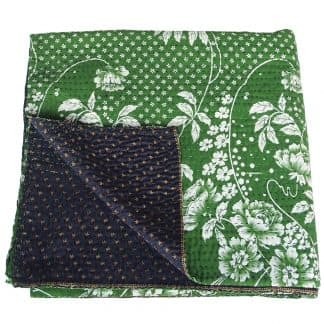 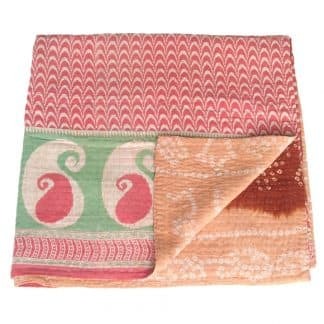 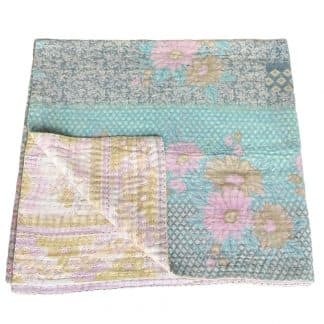 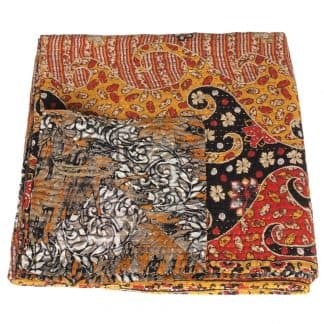 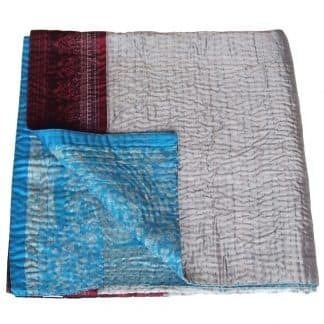 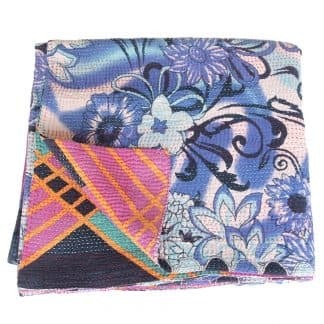 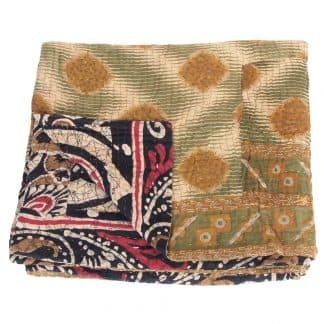 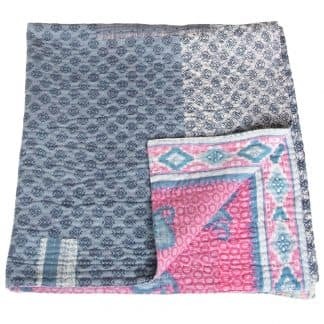 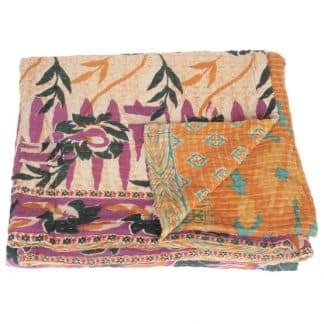 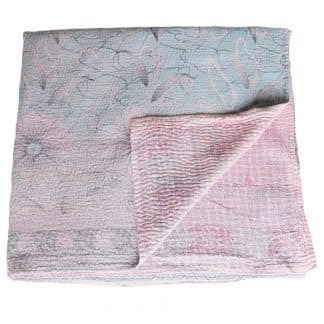 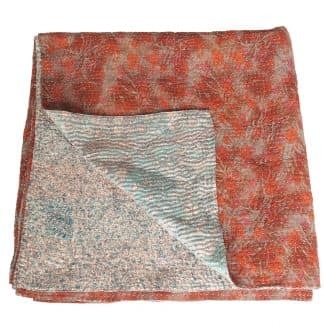 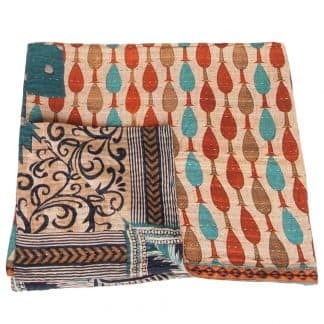 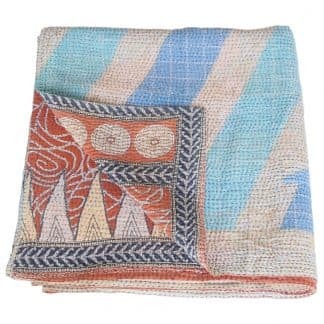 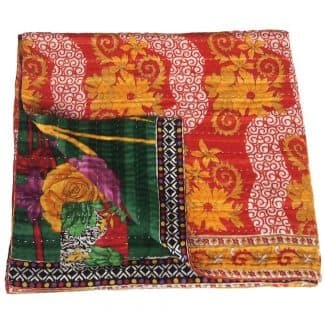 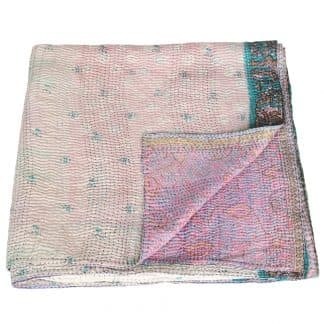 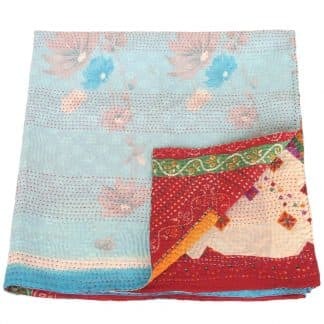 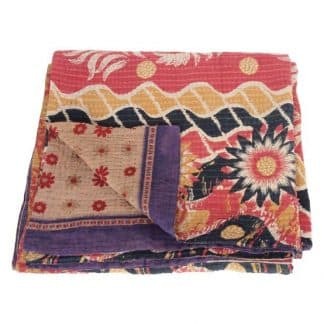 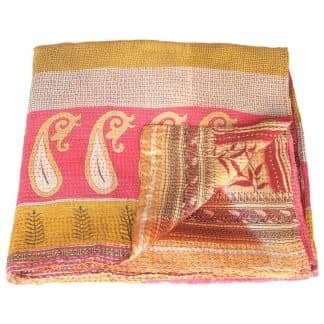 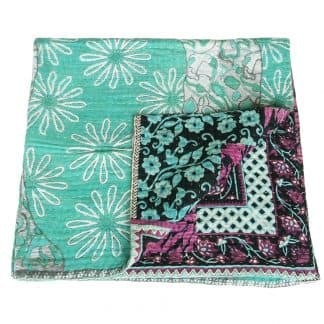 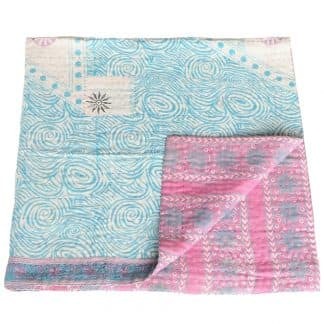 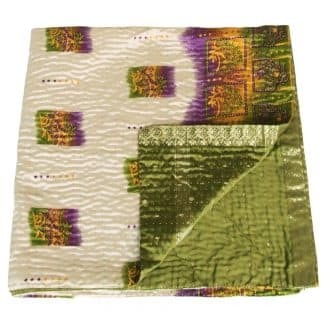 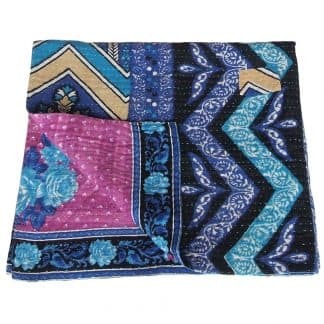 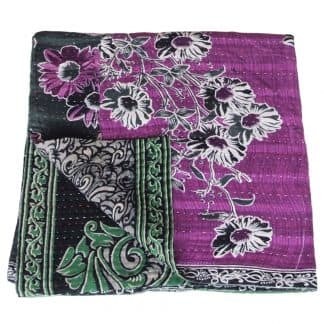 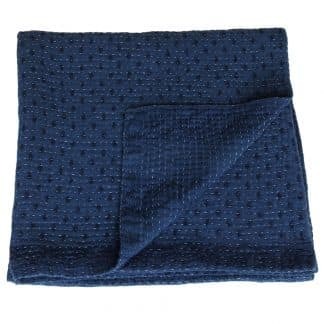 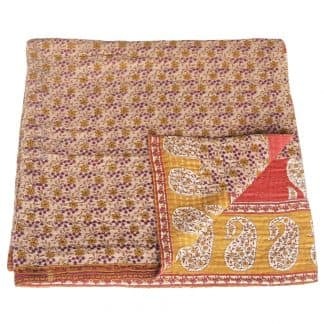 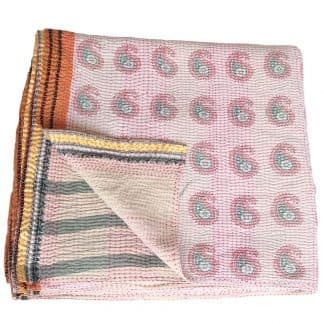 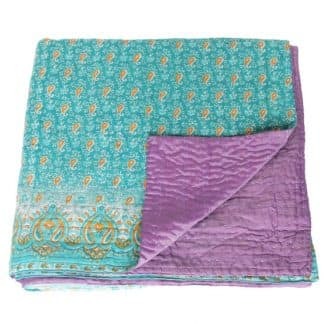 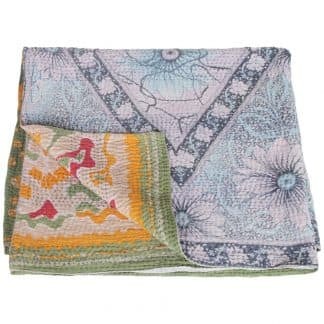 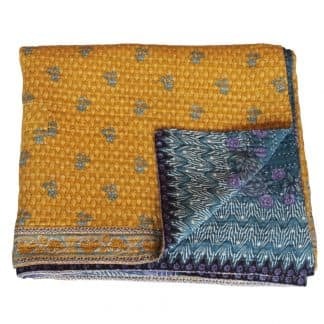 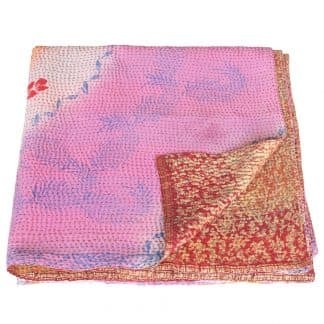 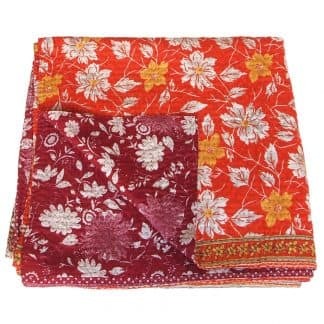 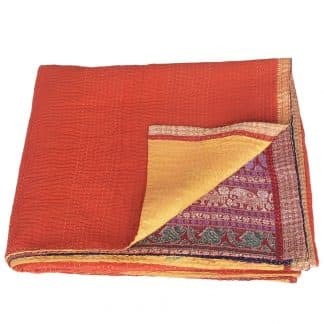 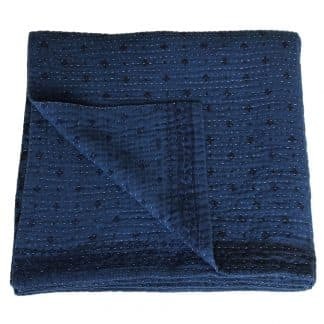 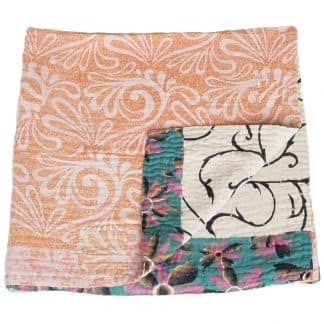 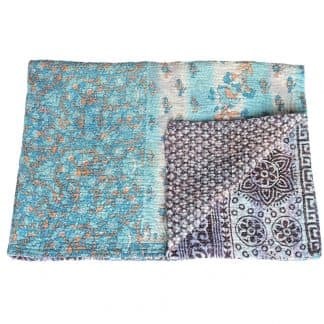 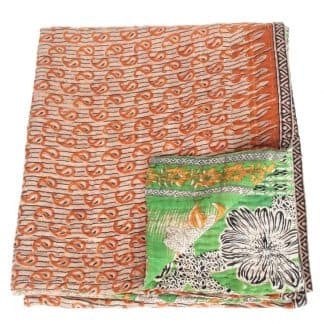 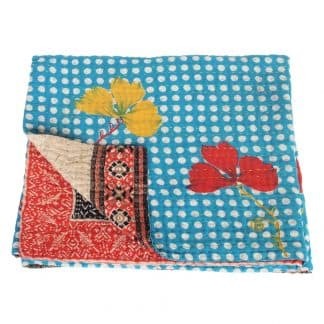 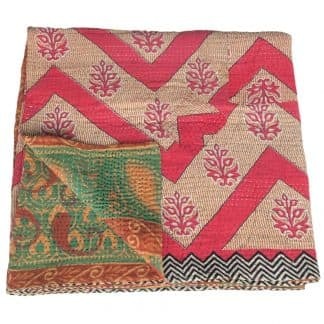 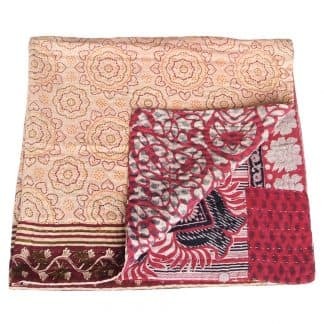 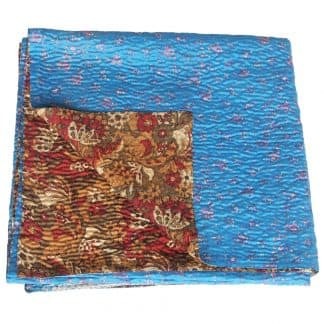 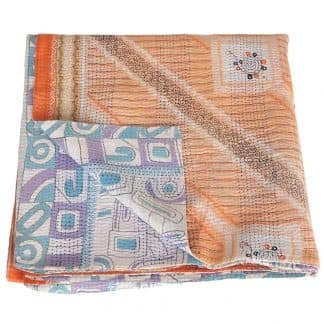 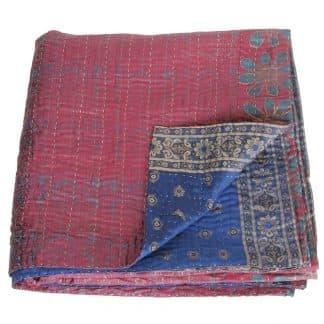 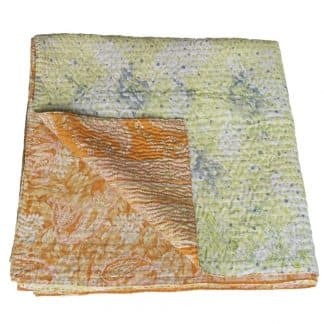 Tulsi Crafts has a large collection of kantha sari blankets & throws. 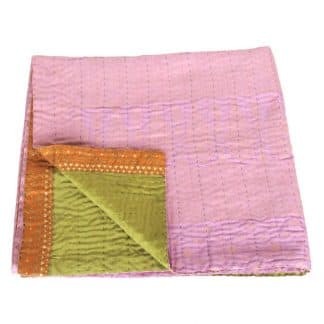 These throws are made from upcycled saris and therefore they are one of a kind. 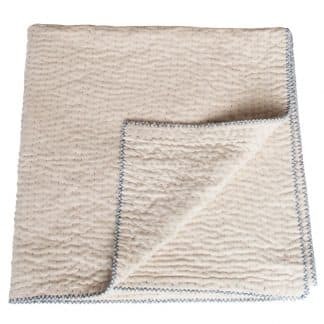 Made with love (and by hand!). 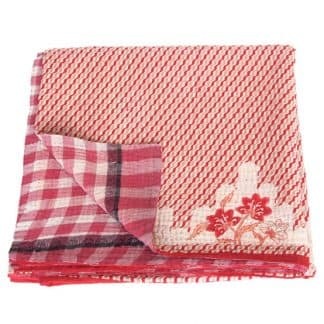 From stylish silk to colourful cotton, these plaids add a colourful vibe to your home. 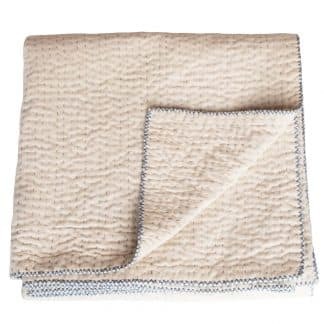 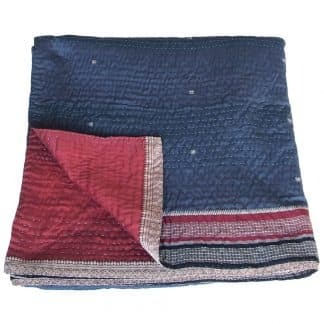 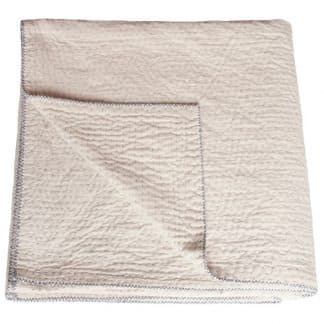 These quilted kantha blankets give old saris a new life. 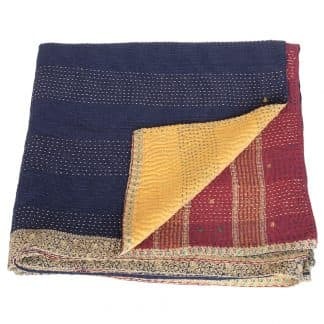 Our makers stitch six layers of vintage saris together by hand with a running stitch. 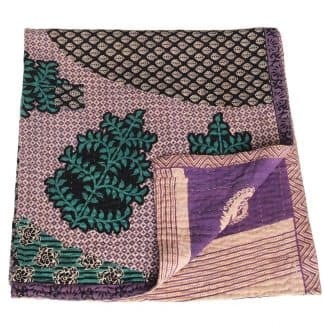 This type of Bengali embroidery is called kantha. 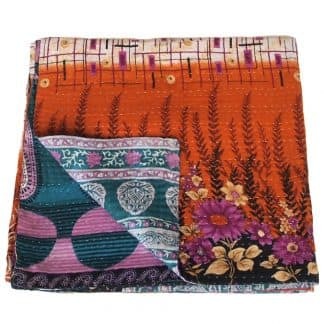 The front and back of the blanket are made from different saris. 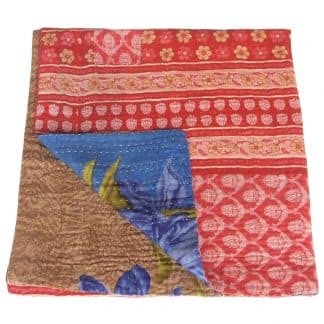 Our makers select the fabrics with care and choose two saris to go together with a beautiful contrast. 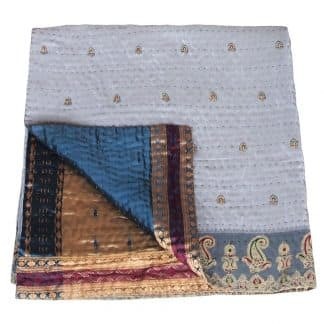 Vintage saris may sometimes have small imperfections, but we take every care to patch them with a beautiful matching fabric. 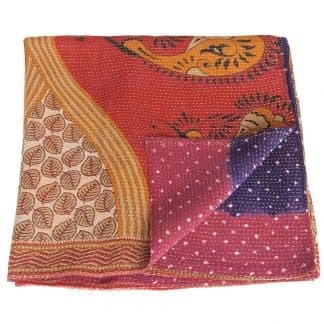 We work together with an organisation that creates fair work for women to make the sari blankets. 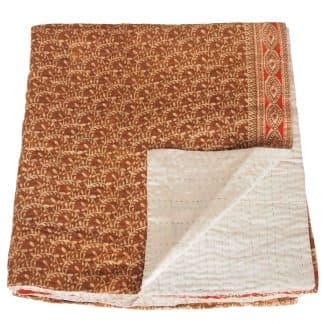 They are active in in Bengal, India, the heartland of kantha. 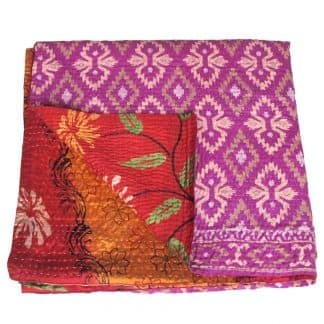 This work gives the women who make them the opportunity to provide for themselves and their families in a dignified and fair way. 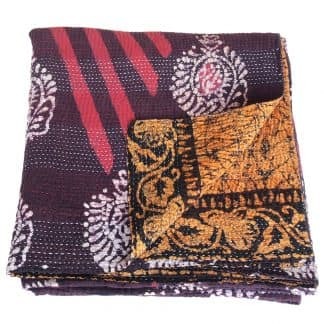 Often the women have been victims of trafficking, or were at a high risk. 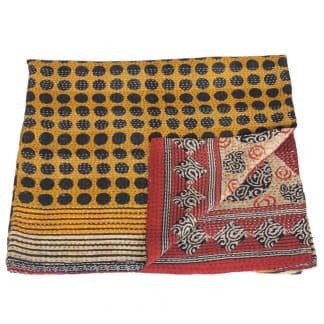 Because work on the kantha blankets creates a constant and fair source of income, we decrease the chances of them being trafficked again.